This video shows you how to delete VMware Workstation 14/15 Pro virtualization software from Linux Mint 19 / 18 step by step. 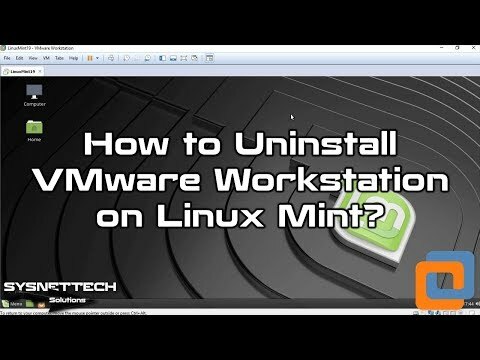 NOTE: You can also uninstall VM Workstation 15 Pro from Mint by following this video tutorial. Step 2: Please refer to the following video to install Workstation on Mint 19/18. Step 3: If you want to uninstall the program, run the “sudo vmware-installer -u vmware-workstation” command in Terminal. Step 4: After you delete VM Workstation from Linux computer, you can restart your system.